At the TLC Eau Claire Laser Eye Surgery Center, our staff are exceptionally trained and committed to your successful LASIK vision correction. We will customize a LASIK procedure that is right for you and walk you through the entire laser eye surgery process, answering all of your questions about LASIK and laser eye surgery, making you feel comfortable along the way. The TLC Eau Claire LASIK Center, headed up by surgeons, Dr. Lee A. Hofer and Dr. Thomas M. Harvey, are dedicated to providing superior laser vision correction to their patients. LASIK surgeons Dr. Lee Hofer and Dr. Thomas Harvey have performed thousands of refractive surgeries and have over . Beginning in 1999 in Eau Claire, Dr. Hofer has performed more than 20,000 LASIK procedures. 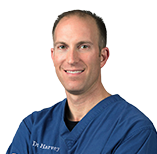 Dr. Harvey also performs a wide variety of refractive procedures with expertise in laser vision correction. Schedule a Free LASIK Consultation in Eau Claire today! Dr. Lemke treats patients of all ages for both medical and refractive eye care. Along with primary eye care, she has an interest in contact lenses, pediatrics, ocular disease, and surgical co-management. Dr. Lemke and her husband enjoy outdoor activities and spending time with their two dogs. A 2011 graduate from the New England College of Optometry with clinical honors. I work at three different locations in Amery, Cumberland, and Frederic seeing patients from young to old and helping patients with routine eye care, refractive errors, and diagnosing/treating ocular diseases. Dr. Komro was born in Durand WI and completed his B.S. Degree from UCF-FL,his doctorate from ICO in Chicago and residency from OSU-OH. He lives in Menomonie with his wife Marianne and two sons. 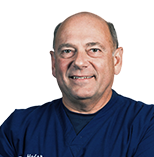 Dr. Komro enjoys camping and snowmobiling with his family and enjoys relaxing with some golf. Dr. Vergin graduated from the Illinois College of Optometry in 2007. While attending ICO he met Dr. Ryan Beloungy. The two quickly became friends and currently practice together in Chippewa Falls and Thorp,WI. Dr. Vergin enjoys spending time with his wife Kara and daughters Victoria and Joselyn. Dr. Margaret Wolan specializes in primary eye care for all ages, encompassing treatment of refractive and medical conditions of the eye. She specializes in contact lens fitting with an increase practice of multifocal lenses. Dr. Margaret Wolan enjoys traveling, painting, and watching sports. Dr. Frederiksen practices primary care optometry with an emphasis on contact lenses, from the most basic to the most difficult specialty fittings. He has co-managed refractive surgery since 1997. He enjoys fishing, hunting, and most outdoor activities and sports. Dr. Miller specializes in primary eye care for all ages, encompassing treatment of refractive and medical conditions of the eye. Dr. Miller enjoys family, hunting, church, and Mission Work. Dr. Ryan Beloungy has been in private practice as an Optometrist since 2007. He has office locations in Chippewa Falls and Thorp, WI. Dr Beloungy was a TLC lasik patient himself in 2008 and is always excited to talk with patients in his clinic about how refractive surgery can enhance lifestyle. Dr. Morris is a native of Durand WI. He graduated from ICO in Chicago in 1996. He entered private practice 1997 and took ownership of the Durand Optometry Clinic and Mondovi Eye & Optical Clinic in 2006. He lives in Durand with his wife Niccole and two sons. He enjoys spending time with family. Dr. Raymond Goga grew up in Chicago and is a graduate of Lewis University and the Illinois College of Optometry. After serving in the US Army, he's been in private practice for over 30 years. He began co-managing refractive eye surgery patients with TLC in 2000 and continues to do so.